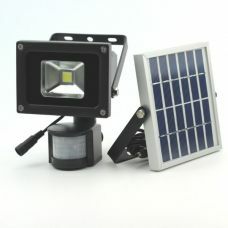 Outdoor Compact Bright 5W 35 LED Wall Solar Powered Sensor Light is a high-quality ARILUX product with multiple features. New generation Solar Panel with high Energy Conversion rate is charging Lithium battery faster. 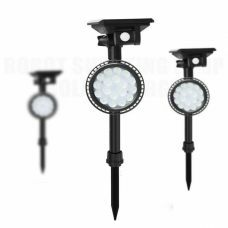 The lamp delivers wide angle 3 direction lighting and is ideal for maintaining powerful casual, emergency or security light around a home, garden, backyard, garage, patio, balcony, veranda etc. 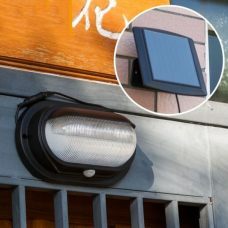 Outdoor Compact Bright 5W 35 LED Wall Solar Powered Sensor Light with wide angle three direction lighting is an advanced ARILUX® product with multiple features. The lamp is suitable for various casual, emergency and security purposes. It is fully operated by solar energy with efficient new generation Solar Panel that is capable to charge Powerful Lithium Battery faster. The product designed for outdoor use with IP65 protection rating and does not require any additional electric wires or other sources of energy that. The wall sensor light has built-in automatic daylight sensor and also Smart Motion Sensor for automatic illumination for a specific area. 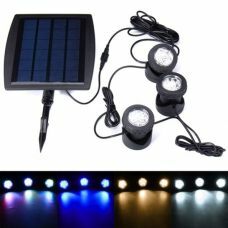 The solar powered light is DIY product and is easy to install. 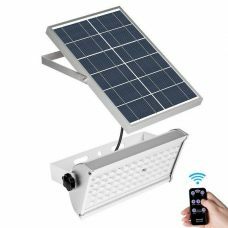 The self-contained water- and weatherproof lighting device does not require wires and can be easily screw mounted anywhere the sun shines including the wall or fence of the home, garage, garden, shed, in the warehouse, basement etc. The device is a low-maintenance and cost-efficient Solar Product that provides outstanding performance without additional maintenance. 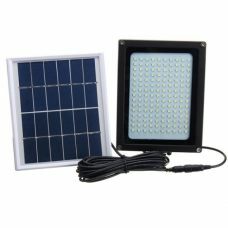 - New generation Solar Panel with high Energy Conversion rate to shorten the charging time of Powerful Lithium battery. - Bright 35 LED wide angle three direction lighting performance. - Compact size, durable light case. - Waterproof and heatproof: enhanced IP64 water and weather resistance. 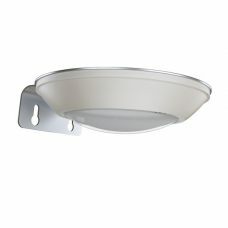 Automatically turns lights Off during the day and will only turn it On when PIR Sensor is activated by motion at night. The light will turn Off after 30 seconds if no more movement is present. However, the light will remain On if people will stay in the range area. 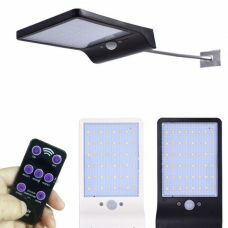 Ideal for: The sensor wall light delivers reliable wide-angle three direction lighting and is ideal for maintaining casual, emergency and security lighting around the house, garage, garden, porches, patios, balconies & verandas, side and backyard, aisles, driveway, stairs, entryway, path, fence etc. The light also could be used for industrial and business premises including for protection purposes. For whom: for someone who is looking for a smart and efficient way to organise and maintain lighting around a property for a variety of purposes from casual convenience to security and protection. The light does what it promises. The motion sensor works great, the actual LED light is bright. Nice buy!